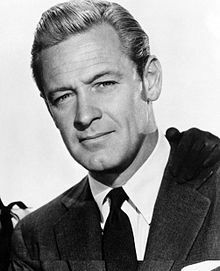 William Holden was an American actor. Holden won the Academy Award for Best Actor in 1954 and the Emmy Award for Best Actor in 1974. One of the most popular and well known movie stars of all time, Holden was one of the biggest box office draws of the 1950s, he was named one of the "Top 10 Stars of the Year" six times (1954�1958, 1961) and appeared on the American Film Institute's AFI's 100 Years�100 Stars list as number 25. He starred in some of the most popular and critically acclaimed films of all time, including such blockbusters as Sunset Boulevard, The Bridge on the River Kwai, The Wild Bunch, The Towering Inferno, and Network.